Hamas prevents Fatah official from reaching Judea and Samaria, Fatah says Hamas is responsible for 'aiding' Israeli and Egyptian interests. 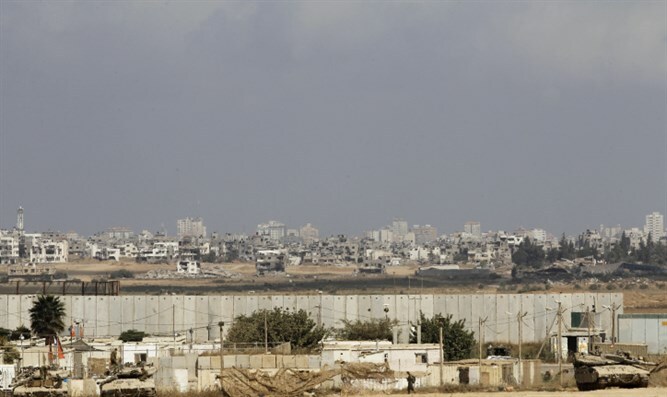 Hamas authorities in Gaza are blaming the Palestinian Authority for working with Israel and Egypt to "keep Gaza under siege," Arab news agency Wafa said, adding that Hamas' response was to "prevent Fatah officials from leaving Gaza. After Hamas decided to prevent Fatah senior official Abu Mahar Khilis from traveling to Judea and Samaria to deal with issues relating to his organization's ties with Gaza residents, Fatah's Central Committee in an official notice called on Hamas to rethink its policies regarding the interests of the "Palestinian nation." According to Fatah, Hamas' policies deepen the existing divides between the Palestinian Authority (Fatah) and Hamas itself. These divisions only serve Israeli interests, since Israel's goal is to thwart the creation of a Palestinian state, Fatah explained. PA Chairman Mahmoud Abbas' terror organization also said that Hamas' policies limit the freedom of other Palestinian-Arab organizations, prevent local elections, and halt any activity which does not agree with Hamas' goals. In recent months, the Palestinian Authority (led by Abbas' Fatah terror organization) has tried to punish Hamas in a series of steps intended to force the rival terror group to submit to PA authority. In practice, Gaza is ruled by Hamas and functions as a separate political entity from the PA, with its residents competing with the PA for exposure as the "true Palestinians."